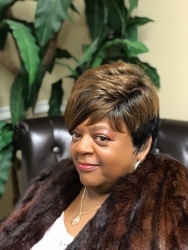 Lawrenceville, GA, February 26, 2019 --(PR.com)-- Veronica A. Wright of Lawrenceville, Georgia has been recognized as a Woman of the Month for January 2019 by P.O.W.E.R. (Professional Organization of Women of Excellence Recognized) for her outstanding contributions and achievements in the fields of transportation and wellness. Each month they feature women to represent their professions and industries due to their expertise and success in their chosen specialty.